Car dehumidifiers without electricity. Recharge in the microwave oven. Car Dehumidifiers with unique rechargeable capacity. Musty, mouldy smelling car? Poor indoor air quality in your car can affect your health. Are you having issues with your car during those cold and damp mornings? Fogged up windows can delay your journey and you may already be late for work! Impatience may lead to you putting up with dangerous driving conditions. You do not want to be hanging out of your window, to see the road. 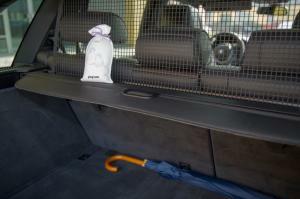 Keep your car dry and moisture free. 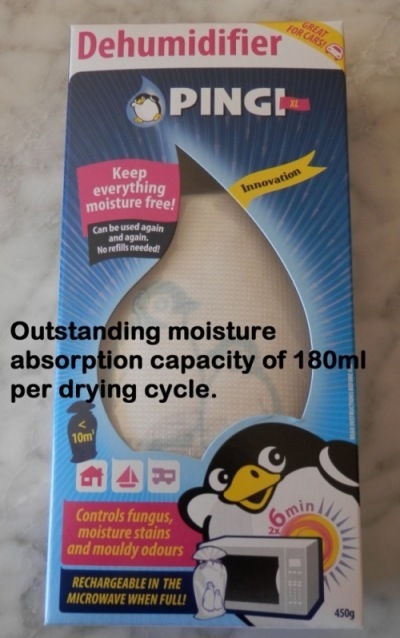 The Pingi XL 450g Car Dehumidifiers are great moisture absorbers just for these kinds of dilemmas. The innovative PINGI Car Dehumidifiers will attract excess moisture like a magnet. The PINGI contains silica gel pellets that can aborb around 40% of its weight in moisture. Your journey can start without having to worry or wait for the windscreen to clear. What makes our car dehumidifiers so different? The Pingis are not electric Car Dehumidifiers. You can simply place a couple of bags into the car. One in front and one in the back works best. No overnight unattended electric device with additional stress of a larger electricity bill. Unlike regular calcium chloride dehumidifiers, our PINGI Car Dehumidifiers will never leak. There is no chance of the car interior being stained by our product. Our Car Dehumidifiers were produced to both simple and convenient for motorists. The moisture absorbers can quickly and easily be recharged many times. When the product is saturated, a blue indicator on the product changes to light pink. Time to recharge the car dehumidifiers. Just put the car dehumidifiers in a microwave and it is ready for use again. Want to know more about our Pingi XL 450g Dehumidifier/Moisture Absorber? Visit our Products page. More questions? Go to the FAQ page. Ready to order? Go to our Shop. Postage and handling are free for orders in Australia. Fore more information on car dehumidification visit the Car Dehumidifier Review page.